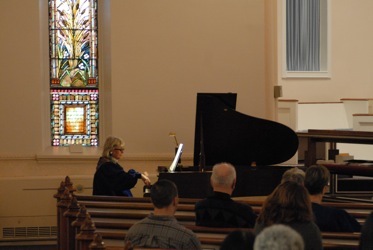 First Congregational offers a number of musical opportunities including an adult Chancel Choir, adult Angelus Bell Choir, Children’s Choir and various small group and solo worship offerings. 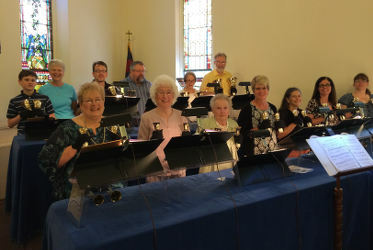 This choir goes way, way back in one form or another at the church. 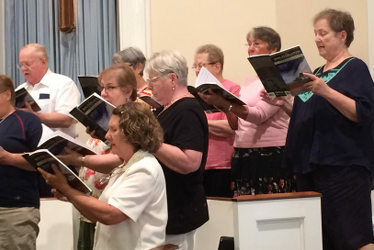 It is a volunteer choir open to anyone who is willing to attend rehearsals and sing. Known for its high quality music and comradery, the Chancel Choirs adds beloved Sacred moments of music to our worship services and holidays. 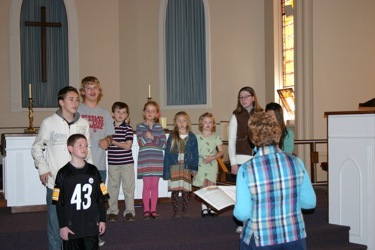 Led by a well know local children’s music director our Children’s Choir is open to children who are willing to attend rehearsals and stand up in front of a friendly and supportive congregations and sing. This choir started out with just a few kids has grown to nearly twenty and is a much prized part of our church and worship services.